XACT Telesolutions, an industry leader in call answering and call center order taking, is now offering its clients a convenient all-in-one outsourcing package that allows XACT customers to devote more attention to their core business, the company recently announced. After debuting a new email management system earlier in 2013, XACT is now properly equipped to offer a comprehensive array of combined services for increased client convenience. Outsourcing multiple facets of company communication allows a business to spend more time focusing on important internal tasks, which yields a number of significant benefits." 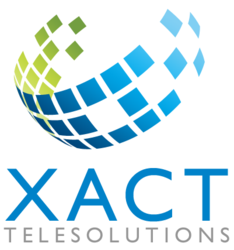 "XACT Telesolutions has always been a leading provider of call center services, but now, with our email outsourcing program up and running smoothly, we are proud to offer the opportunity for our clients to invest in an affordable yet comprehensive outsourcing package," said Kathy Gray, the director of business development for XACT. "Companies can count on XACT to handle more than one aspect of their customer communications, whether that includes call answering, email management, internet and web support, or another one of our award-winning offerings. Outsourcing multiple facets of company communication allows a business to spend more time focusing on important internal tasks, which yields a number of significant benefits." XACT's outsourcing options can be custom-tailored to fit the needs of each particular client. Whether a company is looking for just a few outsourced services or would like to take advantage of the entire scope of XACT's offerings, XACT is able to effectively deliver a combination of quality services. Outsourcing allows a business to focus on its core competences; rather than draining precious time for tasks like call answering and email management, companies can focus on their primary business. Additional benefits of outsourcing through XACT Telesolutions include instant scalability, flexibility, improved customer retention, fewer personnel issues, access to high level technology, and increased sales. For more information on XACT Telesolutions, or to learn how XACT can help your company with comprehensive all-in-one outsourcing, contact Kathy Gray at Kathy.Gray(at)MyXACT(dot)com, call 800-670-9228, or visit http://www.MyXACT.com.